Who is cinema’s biggest loser? Who, despite their versatility and working with an array of filmmakers of varying degrees of talent, somehow always ends up with the short end of the stick in the narrative? 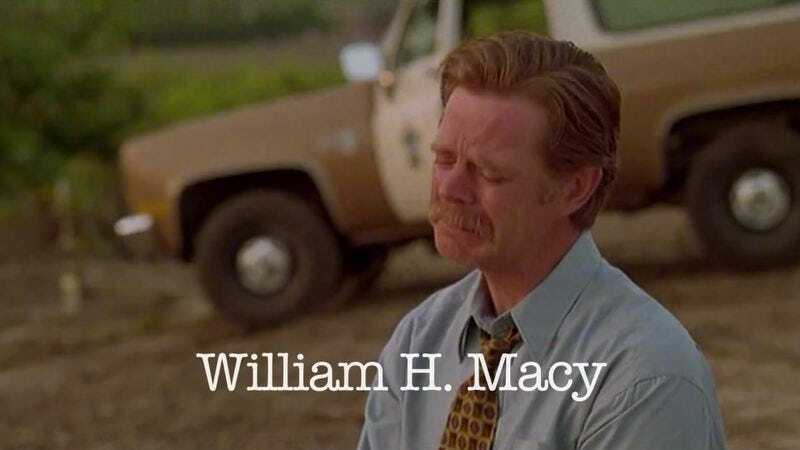 Over at The Huffington Post, Oliver Noble and Ben Craw have put together a video compilation that argues William H. Macy is film’s greatest sad sack. With their long list of scenes taken from many movies (which they list on that page), the pair certainly make a compelling argument. From his tremendously inept and callous husband character in Fargo, to his cuckolded cinematographer in Boogie Nights, to an entire film devoted to how his loser aura rubs off on other players in The Cooler—it’s not hard to see how Macy fits the bill. Although he’s managed to turn in some comic performances and enjoys being part of the real life power couple Filliam H. Muffman, Macy has certainly set a high bar for cinematic losers. Though what of Steve Buscemi, who is almost always ignominiously killed off or at least rarely given anything approaching respect by his peers in films? Or John Turturro who has played many a down on his luck type, and even had the terrible misfortune of being literally pissed on by a Transformer? Is William H. Macy truly cinema’s greatest loser? Watch the video and decide for yourself.